The New Band To Burn One To is New Orleans' very own Big Rock Candy Mountain. 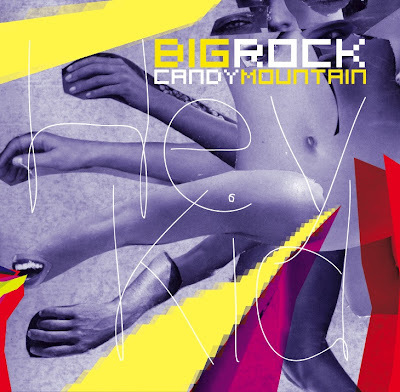 "Big Rock Candy Mountain… a song about the sweeter things in life for the down and out. The concept that a land filled with your uttermost desires is what is considered paradise. Big Rock Candy Mountain...a band that takes this concept and translates it into their own paradise of fuzzy guitars, square-waved keyboards, cavity inducing harmonies, distorted bass-lines, and four on the floor drum beats. Creating the foundation of what they consider fun, euphoric, and loud, BRCM’s goal is to share this utopia to the masses. With their debut EP, "Hey Kid", being released Sept 22nd, BRCM draws the powers of rock bands and other celestial entities such as Led Zeppelin, black holes, Daft Punk, Death Cab for Cutie, Queens of the Stoneage, the big bang, and banging in general... As the great provider says, stay tuned for more touring, and more rambunctiousness." As some girl put it, "it's like Queens of the Stone Age meets the Beach Boys with synthesizers."